Can Oprah Sell Twitter to the Mainstream? 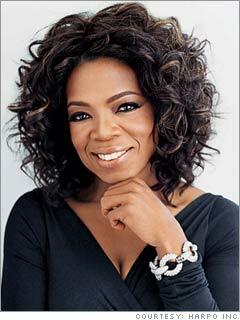 Oprah can sell cars, she gave away some a few years back, and the maker of the car saw an increase in sales. Oprah can certainly sell books, authors would sell their souls to have the media mogul pick their book for her book club. Oprah also likes Amazon’s Kindle, when she said “my new favorite thing in the world”, sales bumped up. Oprah can even sell an entire nation on the worthiness of one Senator over another to be President of the United States. The woman has influence companies can only dream of having. Now, Twitter doesn’t have to dream any longer. Tomorrow, according to her Facebook page, Oprah will set foot into a world where most of us marketing, social media and search geeks have called home for the past two years. She’s about to bring with her, an army of loyal and rabid followers who are not exactly technogeeks. Are we ready for this invasion? Maybe we should be asking Twitter themselves if they are ready for the invasion? After the upgrade two weeks ago, a bounty full of fail whales and missing avatars, I really hope Twitter’s architecture can handle what Oprah’s about to bring them. This is a lot like the “Digg Affect” on unsuspecting sites – your site goes down, and you piss off a lot of loyal customers & lose sales, just for those folks who want to “glance” at it (whatever the it is .. that’s hit the front page of Digg). It could just be a one day affair. We know most celebrities find these technologies fleeting, and for most celebrities its about the next best thing to be seen doing. So will Oprah keep Tweeting? If she does, it’s likely to have more of an effect on bringing Twitter into mainstream America than anything to date. The woman is a marketing machine, and if her fans see her continuing to Tweet, well then, you can bet within a few months every one of her loyal fans will have a twitter account to connect to her with, and each other. This is probably one of the best examples of how communities can connect, and how Twitter really is about community. As for Ashton Kutcher being the “King of Twitter”, I have a hard time swallowing that. Oprah’s to have him on the show tomorrow. Of course we all know this is a huge publicity stunt for Ashton Kutcher to beat out CNN to a million followers. I guess Ashton purpose is to show how to use it – how simple it is, to the audience full of women wishing they were Demi Moore. Twitter is about to hit the mainstream folks, it’s about to become an even bigger topic on marketing agendas because of a one woman marketing machine – Oprah. Are you ready for this change? Not only that, are you ready to help your Mom understand Twitter? I might have you all beat there, my mom‘s already there and even uses Tweetdeck! This entry was posted in Offline Marketing, Social Media, Web 2.0, Word of Mouth Marketing and tagged ashton kutcher, oprah, oprah's first twitter, twitter by Liana "Li" Evans. Bookmark the permalink. She can sell the awareness of its existence to the masses but she can’t sell the concept. Just like after her promotion the Kindle isn’t in everybody’s hand and those who didn’t read before still aren’t reading, she can’t get people to connect (online) just like that. I’m a huge Oprah fan and an avid Twitter user. So naturally I was thrilled to see that she was joining. Hopefully it can get Twitter to be more mainstream. This wouldn’t be the first “fad” that she turned into a mainstream, lasting trend. Do you think that she will be the one tweeting or will she have an army of twitterers working for her ? Will she be posting interesting stuff ?